The Newly Revised Strawberry Story is Out! 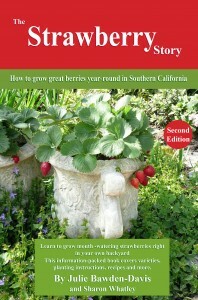 With more than 5,000 copies sold, this second edition of, The Strawberry Story: How to Grow Great Berries Year-Round in Southern California, shows novice and pro gardeners alike how to grow sweet, juicy strawberries throughout the year in Southern California. Learn the best types for growing in the Southland, how to create the perfect environment and how to plant, care for and propagate these tasty fruits. A chapter is dedicated to battling pests and diseases. You’ll also learn the best ways to harvest and store strawberries, and recipes give you a delicious way to enjoy the fruits of your labor. From my perspective working with California commercial strawberry growers and nurseries, this book is a great resource for the home gardener. 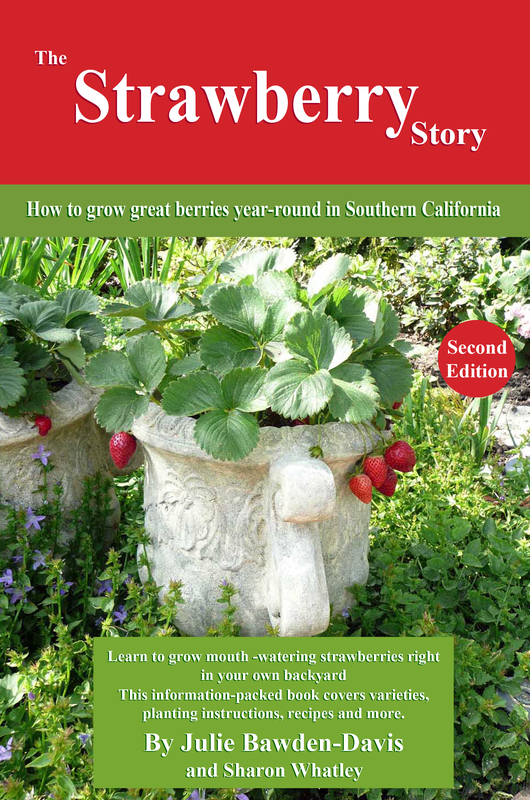 The Strawberry Story is a beautiful and simple book that will show Southern California sun-loving gardeners how to grow, harvest and preserve healthy and tasty berries. Available on Amazon in print and e-book formats! For an autographed copy of The Strawberry Story, send a check for $14 to HealthyHouseplants.com, PO Box 224, Orange, CA 92856..